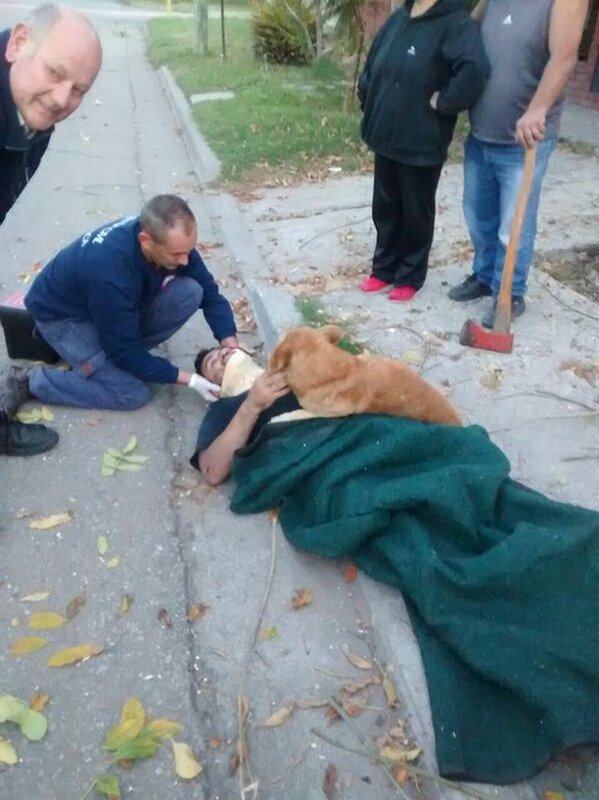 This loyal dog refused to budge, even after EMTs arrived. Now the heartwarming photos are going viral. How sweet and loyal this dog is! 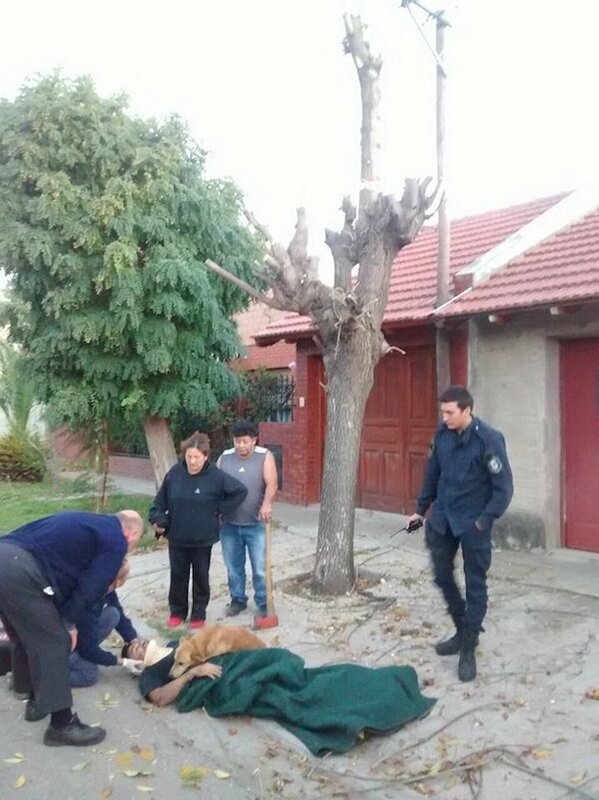 A man named Jesús Hueche had been pruning a tree outside his home in Argentina when he tumbled from a height of about six feet. He had hit his head and soon became unconscious after the concussion. 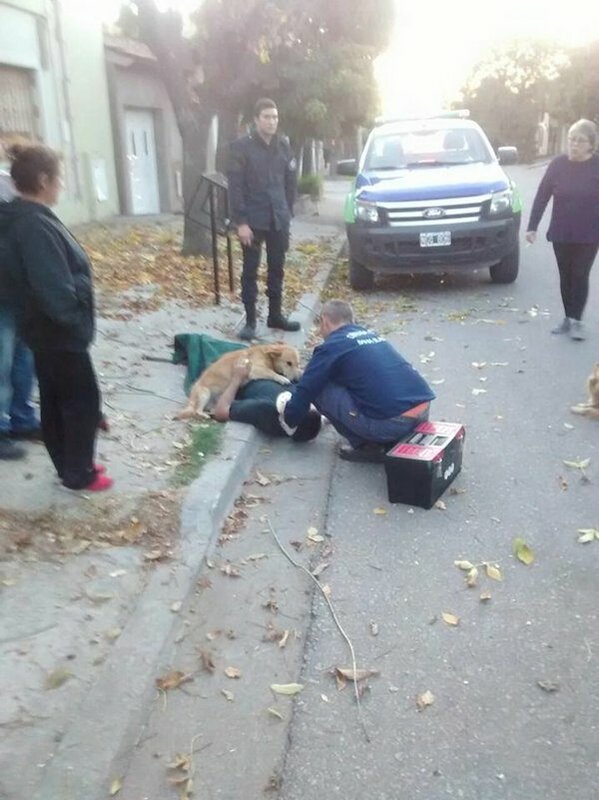 When paramedics arrived, they found his beloved dog, Tony, lying with its two front paws on top of his body. One of the medical staff even took some photos of the dog showing concern for his owner, which quickly went viral online. 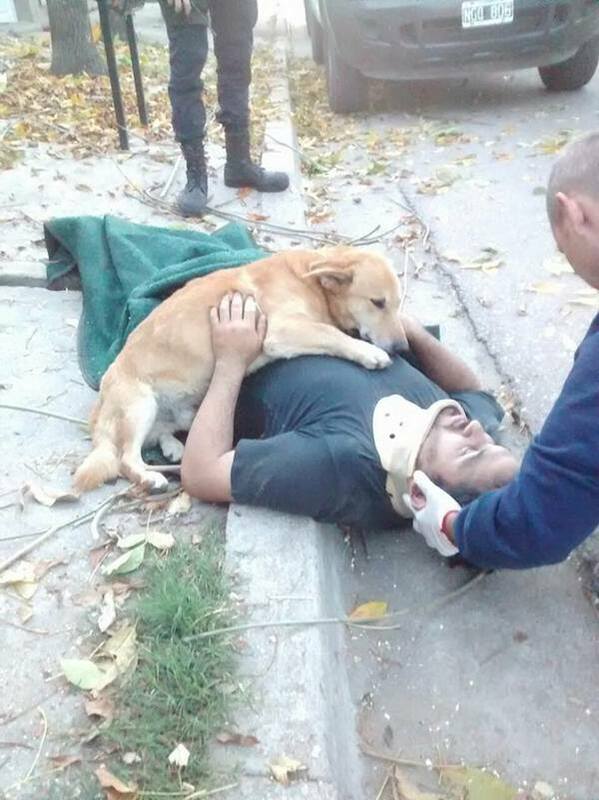 As paramedics fitted Jesús with a neck brace, Tony continued to comfort him in his own by refusing to leave his owner’s side. This has touched the hearts of many around the pair. 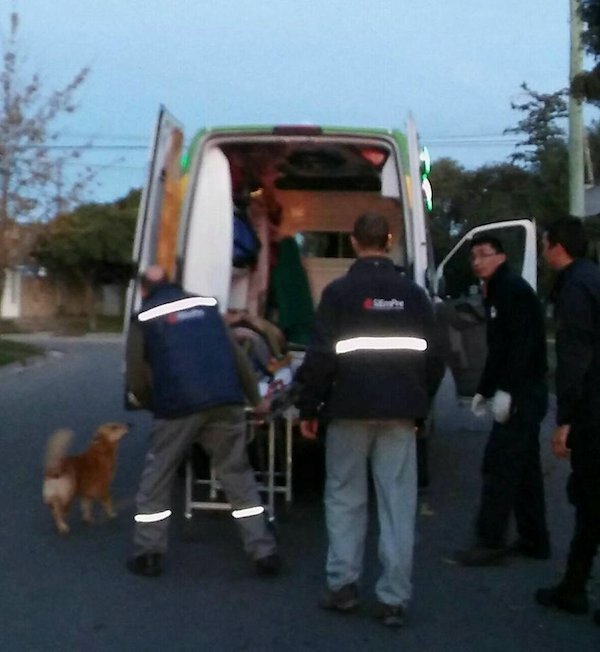 When staff loaded Jesús onto the ambulance via a stretcher, Tony wanted to go with him, but could not do so. Thankfully, the two were not kept apart for too long. At the hospital, Jesús was found to have only suffered mild head trauma, ensuring his quick release from hospital shortly after! A local radio station even reported that the pair had been successfully reunited – shortly after Jesús was discharged! La Brujula 24 also added that Tony had been a former stray dog until Jesús rescued him from his poor life on the streets, and providing him a loving forever home in the process. Today, Jesús has recovered and rested well since the unfortunate incident. 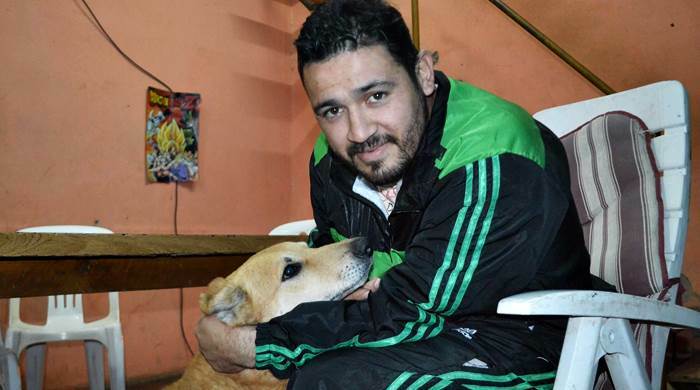 He credits his loyal dog, Tony, for staying by his side during that hard and painful time. It was obvious that Tony felt that it was his sworn duty to do so. After all, what is a man’s best friend for?